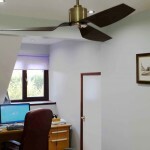 Here we provide you with the essentials to selecting and buying the right ceiling fan for your business. The main difference between a 4-blade and 5-blade fan is aesthetics, with some additional wind noise associated with 5-blade fans. 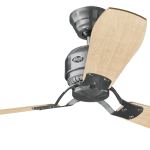 For a given motor, a 4-blade fan will move more air than a 5-blade fan. The 5th blade puts additional drag on the motor, slowing down the RPM of the blades, which decreases the CFM. A good brand of manufacturer such as Hunter will ensure that whether 4 or 5 blades are used it is designed for optimal air delivery. How do I know what size fan to purchase – there are so many sizes available? How do fans cool the room – do they actually lower the temperature? A ceiling fan can help lower energy consumption in the winter by up to 10%. The temperature of the air in a heated room varies in layers; the air near the ceiling is warmer than the air near the floor, because warm air rises. A ceiling fan can help push the warmer air that is trapped near the ceiling back down into the room, thus de-stratifying the layers of warm air. 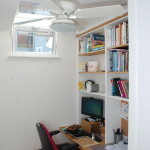 As a result, the warm air is circulated where it is needed, and the heating system does not overwork to warm the room. Which direction should the fan run in winter months? To properly destratify a warmed room, the ceiling fan should be run in a clockwise direction. This pushes the air up against the ceilings and down the walls, to gently re-circulate the warm air without creating a cooling wind chill effect. On average, a ceiling fan run on high speed will consume less power than a 100-watt light bulb. Some of the latest DC fans are ultralow in energy consuming as little as 11w. With a consumption that low the fan could be left on 24 hours a day to cool a room down during the cooler evening and night ready for the next day if a window is open to allow cooler air into the room. 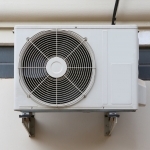 How much can I expect to save in heating/cooling costs? A ceiling fan can save up to 47% on cooling costs, and up to 24% on heating costs. Savings will vary depending on local climate conditions and energy rates. Most ceiling fans can be adjusted with an accessory remote control sold separately from the fan. In fact, remote controls can really enhance the performance and operating flexibility of ceiling fans since many include one-touch multiple speed settings, instant fan “off” operation, and full range light dimming — all possible from the comfort of your favorite chair or bedside table. Ceiling fan and light remote controls can easily be installed either with the fan during new installations or on fans which have been previously installed and in use for some time. The installation is an easy, do-it-yourself project and does not require any professional wiring. Remote control kits include a handheld transmitter for sending commands to the fan and a receiver which either conceals inside the fan canopy or mounts just beneath the ceiling. Remote controls can operate the fan or light reliably up to 40 feet away from the fan. Yes, ceiling fans can be installed on angled or vaulted ceilings by using a fan canopy (the “cap” visible closest to the ceiling which covers the electrical box) which has been designed to accommodate sloped ceilings. Many quality fans will include this type of adjustable canopy, like Hunter’s Installer’s Choice® and HandsFree™ Canopy systems, but if not included with the fan at original purchase, accessory canopy adapters are sold separately at retail outlets. Many factors can produce fan wobble. Substandard blade materials and improper blade sealing can produce blades that absorb moisture and warp – a prime source of wobble. Blades that are not matched in carefully weighed and balanced sets can also wobble. Inconsistent blade mounting brackets can create varying degrees of pitch (blade angle), throwing a fan into an unbalanced wobble. And poorly manufactured motors have rotors that can easily get out of balance, generating wobble from the very heart of the fan. Inexpensive mounting systems with pin fasteners can also contribute to wobble. Hunter’s patented Anti-Vibration Technology (AVT™), featuring our unique, patented triangular hanger ball system, reduced torque for maximum stability and Wobble-Free® performance. The trilobular ball gives Hunter fans the ability to self-balance, eliminating wobble for rock-solid performance every time. A general formula for calculating downrod length is: ceiling height in feet minus 9′ = downrod length. This formula is based on the fan-to-floor distance of 8 feet plus 1 foot for the dimension of the fan. So if your ceiling height is 12 feet, you need a 3 foot downrod in order to properly position the fan 8 feet from the floor. Using long-length downrods for fan installations actually help stabilize fans and reduce the potential for wobble. Think of a grandfather clock pendulum and its slow, heavy swing versus a smaller clock pendulum with a fast, unsteady swing. Weight and length combine to create stability, reducing wobble, whether it is in a ceiling fan or a clock pendulum. The answer here depends on how your wall switch is currently wired. If you have a single wall switch with two wires (one black, one white), the answer is “no” unless you purchase a control specifically designed for this type of switch (Hunter offers three models). The answer is “yes” if you have a three wire set-up in the single wall switch and purchase a more common, dual control that will operate a fan and light separately from a single switch. Having an electrician install a third wire can be expensive. 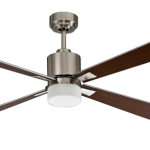 What is the difference in having a ceiling fan installed close to the ceiling versus on a downrod – I have seen both ways. Many fans are noisy. 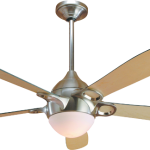 An electrical humming created when a ceiling fan is running is usually the result of poor engineering design and a lack of precision manufacturing. Some manufacturers use generic, inexpensive ball bearings to reduce cost, even though these are a common source of operating noise. A lack of proper dampening between metal parts can also create and intensify noise, as can the use of extra thin sheet metal motor and mounting system parts. What causes a fan to stop working? Low quality fan bearings may be “shielded” on one side only, allowing dust to enter and cause premature failure. Inexpensive materials, poor engineering, and substandard manufacturing processes are used to create “bargain” fans. Hunter ceiling fans are known for their performance and powerful operation. Our on-site UL-approved testing lab allows our engineers to design for optimal performance on every ceiling fan. Hunter backs its fans with a lifetime limited motor warranty, and backs that warranty with nearly 135 years in the ceiling fan business. No other manufacturer has that kind of record to stand on. So you get the peace of mind of knowing you’ve got the best-backed warranty in the business! What is covered by the fan warranty – how does the Hunter warranty compare to other fan company warranties? Most fan warranties are limited warranties that cover the motor parts for the stated life of the warranty; that is, a 20-year warranty will cover the motor parts for 20 years. Labor for the motor is generally covered for 1-year, as are parts and labor for all other components of the fan. All Hunter fans are backed by a “limited lifetime motor warranty. Most importantly, Hunter is the only fan company with over 135 years of experience behind its warranties. Step 1. Select your product: Choose the appropriate size fan for the proper combination of comfort and efficiency. If you’re unsure about the room size, choose a larger fan to maximize your comfort at low/medium speed. Step 2. What style and color do you prefer? For a coordinated look, match the blade finish to furniture or wood molding. 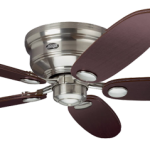 Or select a fan body finish that matches door or cabinet hardware. Many fans feature reversible SwitchBlades®. A different finish on each side of the blade permits styling flexibility. NOTE: Blade finishes are pre-matched to motor finishes. Blades are not sold separately. Step 3: How high is your ceiling? Most Hunter fans come with the Installer’s Choice® 3-Position Mounting System for installation versatility. Hunter Low Profile® fans are specially designed for low ceiling applications. The motor housing fits flush to the ceiling. If your ceiling is 9 feet or higher, you’ll need an extension downrod. *Longer downrods must be purchased separately. 34° maximum angle. Step 4: Do you need a light? Choose a fan with a coordinated light fixture included or customize the fan with your choice of accessory light fixture. All Hunter ceiling fan light fixtures are UL listed for installation on Hunter fans. Step 5: Select a fan control. To operate your fan and light separately from a single switch without additional rewiring, choose a Hunter wall control. For convenient, easy operation in bedrooms and rooms with high ceilings, consider a wireless remote control. Step 6: Buy your fan! What tools will I need to install my fan?